Home » Hair Care » Top 5 Best Organic Shampoos For Healthy And Happy Hair! ​If you are in a hurry, Click here to skip the buying guide and jump straight to the top 5 Best Organic Shampoos! In the past few years there has been a conscious choice made by a vast amount of people to turn towards a more natural and organic way of living - this goes for health and beauty products as well. If you’re like me, shampoo is a beauty product that you use pretty much daily, so it should be one of the first items you decide to swap out for organic! It can be difficult to know which brand or company to go with, depending on what hair type you have, what benefits they offer, and considering how many organic brands exist now! Let us help guide you on your way towards the best natural and chemical-free shampoos with our simplified guide! What About Organic Dry Shampoo? This second generation formula has been improved even from the original formula. It is thicker, with better detangling and smoothing qualities, was created by doctors, and it great for any and all hair types! This Organic Dry Shampoo is one of Cultivar’s top selling products (because it works so well!) and its scent is perfect for both men and women. This product boasts some of the most top of the line, 100% ingredients on the market. 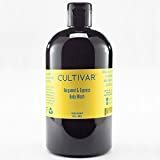 Specifically designed for those with hair loss, this USDA certified formula is perfect for all hair types and with its blend of premium oils and plants-based ingredients! Get the highest quality and purity of 100% all natural Argan oil with these products. Its gentle, sulfate-free, and fights against dehydration, dying and loss of elasticity. 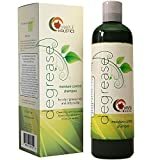 Degrease offers products for both men and women to help prevent and heal oily hair and scalps naturally. It’ formula is PH balanced and , treats dandruff, as well as strengthens your hair all the while keeping it clean and oil-free. Puracy Natural Products stood out to us because of their luxe mix of moisturizers, and essential oils. 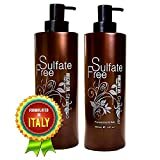 They contain an amazing and natural ingredient called “squalene” which has weightless moisture properties, gets rid of static, and is designed for men and women with any and all hair types. - It contains human/food grade plant and mineral based ingredients. - They are safe to use for children as well as pets. - Hypoallergenic and free from any harsh chemicals or fumes. - The light citrus and mint scent was a beautiful pick-me up in the morning. We loved that Puracy is a small, Austin Texas based company that specializes in safe (and stylish!) household and beauty products that work very well. You rest at ease knowing they are safe on the environment, better for your family, and better for your environment. For every purchase, Puracy makes a donation to local families and/or children, and the artwork on the bottles helps support local artists. It is not 100% all-natural. Yes it has natural and organic ingredients, but it is not marketed as a 100% natural/organic product. Cultivar created this one-of-a-kind organic dry shampoo using non-toxic fine powder that quickly absorbs excess oils. Not only that, but it will help strengthen, soften and nourish your hair whenever it needs a little pick me up! - It contains very mild, yet effective ingredients (ie. Kaolin clay , and Orris root powder). - We love that they use super-fine powder instead of the traditional/commercial products that simply use baby powder. - It is such a fast and easy solution to not having time to wash your hair in the morning, and still knowing that you’re using a product that isn’t bad for you, or your environment. Their products are made from organic plant-based ingredients and the product was very fast and effective in absorbing excess oils. After use our hair felt fresh, soft and clean. It is cruelty free, vegan and free from parabens, sulphates, chemicals and additives. The price point is a bit high for a dry shampoo. Can feel heavy if you accidentally use too much! Start with much less than you think you need. My team and I were super excited first off about the fact that Pura D’Or is 100% natural, has 100% natural preservatives and is formulated to help fight against hair-loss, and hair weakening. It reduces hair shedding and and increases hair volume by using organic and natural ingredients such as biotin, pumpkin seed and black cumin seed oil. - That it is USDA tested and approved, certified 100% organic and natural. - No SLS, parabens, harmful chemicals, additives. - Hypo-allergenic, cruelty free, color-treatment safe. - It’s formula reverses damage and stimulates hair follicle growth. It was very gentle, yet still effective - perfect for everyday use. The addition of aloe vera and red korean seaweed is innovative and unique, and gives this formula added protection against hair loss or breakage. Contains DHT blockers (the hormone that is responsible for hair loss). It’s a bit on the higher price range, so not ideal for those on a tight budget. But in our opinion the price is worth it in this case. Can take about 3 months use to notice remarkable results. This Moroccan Argan oil formula contains 100% pure Argan oil, which is the highest quality and in its purest form. This product is extremely gentle and restorative since it’s so vitamin rich; it fights hard against drying-out, frizz and loss of elasticity, and is great to use for thickening. - It is very high in antioxidants, fatty acids that protect your hair, and Vitamin E.
- It naturally revitalizes your hair’s elasticity and restores shine, while also promoting growth for fuller hair. - We noticed (for those of us who experience some dandruff) that the argan oil seemed to reduce flaking and the scalp felt more moisturized and less itchy. It worked well on all our different hair types, even color-treated hair and severely damaged hair. It was very gentle, but very effective. It feels very light in your hair, and hair feels light after washing. We didn’t notice much buildup or residue, and hair was left shiny and silky. The conditioner of this set had a much stronger scent than the shampoo that could be not ideal for those who are sensitive to perfumes/scents. Some of our staff thought the shampoo didn’t have ENOUGH smell though - so this is all a personal preference! The Degrease products are a great go-to, especially for people with excessively oily or oil-buildup prone hair. It does well in removing oil and grease buildup from the scalp, leaving it feeling light and clean. It is said to alleviate itch resulting from dry-scalp, germs or dandruff, and hydrates the hair follicles. - This formula is PH balanced, which means it doesn’t disturb the natural balance of your hair and scalp therefore there is less chance for irritation. - By using jojoba and rosemary oil, a few of us really did notice our dry-scalp and dandruff symptoms were lessened. - It was a great option for those of us with sensitive skin, or allergies to perfumes. They offer a money back guarantee if for any reason you are unsatisfied with your results, which is great customer service in our opinion! It promotes clean and minimized pores that promote healthy hair growth. Our hair was left feeling rejuvenated, soft, silky and soothed. A few members of our team said they wished had time to use it longer to experience full-benefits. The scalp was definitely less greasy, but some still experienced some itching from dandruff symptoms. This might have been improved with longer use however. Most organic shampoos are often vegan, chemical-free and not tested on animals, so you can also rest easy knowing your environmental footprint will be very minimal with buying these products. Not only that, but you are taking business away from companies that are mistreating animals, and also our environment - you are making sure none of your money goes into their pockets. Doesn’t that feel good? With organic and chemical-free shampoo, you’ll also want to switch up your conditioner to be the same, and preferably the same brand as your shampoo. This goes without saying, as most companies create their products to work in conjunction with each other for optimal results. Try to actively search out companies that have lines of organic products that all work well together and compliment each other, it will also make it easier for you when buying products. If you have wavy or curly hair, there are organic shampoos that are catered to that as well, just like commercial products. There are even organic products for straightening and styling your mane as well - do some research on what is best for your hair type! If you’re curious about other benefits to organic shampoo, one huge one is also that organic shampoos are gentler on your hair and do not strip so much of the natural and essential oils that your hair needs to stay hydrated and healthy. Mass-produced shampoos and conditioners can be very harsh on your hair and strip so much oil away that the hair tries to counteract this by producing even more oil - therefore making your hair appear greasier than before. Dry organic shampoos are an amazingly useful tool as well, if you’re like me and usually sleep in and leave yourself no time to get ready in the morning - dry shampoo will be your new best friend. It’s important to go the organic route for this too, as commercial dry shampoos also add tonnes of chemicals and perfumes that build up in your hair and actually make it greasier and much less healthy than if you were using organic. For my team, the clear winner was Pura D’Or’s Anti-Hair Loss products. Boasting 100% organic and natural ingredients, with beautiful packaging, great results, and added bonus for aiding in hair thinning/loss. It might be on the higher end price wise, but in our opinion this formula and these products are well worth it! The ingredients in these products are very innovative and progressive, not to mention that we loved how environmentally safe and conscious this brand it. It was a unanimous vote that Pura D’Or came out on top as #1 for Best Organic Shampoo! Let us know what your experience has been with organic shampoo, and chemical free shampoos - we’d love to hear what you think! Any tips or input is greatly appreciated. Enjoy your organic and naturally healthy hair. - The “No Poo” Method: What it entails and how it works! - How to Make Your Own Heat Protectant Spray?